George Zimmerman's prior violence against girls and women was an overlooked and unchecked predictor of his killing of Trayvon Martin. Last year, when the murder of Trayvon Martin began making national headlines, a USA Today/Gallup poll found that public opinion about this case was divided along racial lines—72 percent of blacks said racial bias was a major factor in the events that led up to the shooting death of Martin, while non-blacks were significantly less certain, with 31 percent saying racial bias was a major factor and 25 percent saying it was not a factor at all. That same racial divide was reflected in surveys conducted in 1995 about the murder trial of O.J. Simpson. The New York Times’s Charles Blow was right when he said this comparison was a “bit loaded because the cases are miles apart in the details and circumstances.” But I do think there was one crucial link between Simpson and Zimmerman: both men repeatedly were accused of violence against women well before their murder trials began. 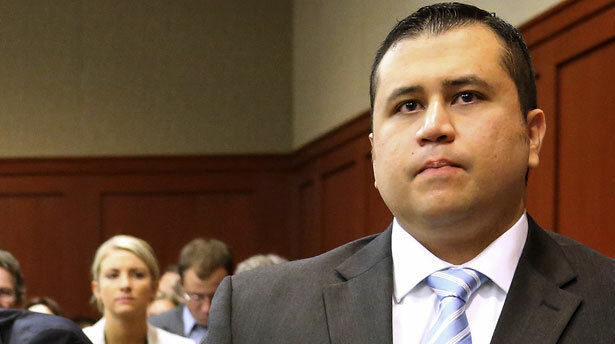 Zimmerman’s attorneys successfully argued that those acts were inadmissible or irrelevant. But these accusations offer us other truths: that violence against girls and women is often an overlooked and unchecked indicator of future violence. It was well-documented that Nicole Brown Simpson was a victim of domestic violence. In Zimmerman’s case, two pieces of character evidence never made it to the trial. First, a recorded statement from Witness No. 9, Zimmerman’s female cousin, in which she said that he molested her for ten years when they were both children, beginning when she just 6 years old. Second, a report filed in August 2005, when Zimmerman’s former fiancé sought a restraining order against him because of domestic violence. was also involved in a domestic dispute with his ex-fiancée, hair salon employee Veronica Zauzo. Zauzo claimed Zimmerman was trolling her neighborhood to check on her. At her apartment, they spoke for about an hour when she asked him to leave. He asked for some photos and paperwork and she refused. A pushing match ensued and her dog jumped up and bit him on the cheek, Zauzo claimed. Zimmerman, in a petition filed the next day, painted her as the aggressor, wanting him to stay the night. In her petition, Zauzo alleged that Zimmerman has previously slapped her in her mouth as well. According to court records, the Orange County circuit judge ordered them to stay away from each other for more than a year, but no charges were filed. During the bond hearing, Zimmerman’s wife, Shelley Nicole Zimmerman, used the fact that that he filed an injunction against Zauzo as proof of his innocence. Zimmerman’s pattern for violence had already been established: trolling a neighborhood for his victim, pushing her when confronted, attacking her character, and arguing that she was the aggressor when charges were filed against him. While the Assistant State Attorney Bernardo de la Rionda brought up both testimonies in the bond hearing in April 2012, they were not presented as evidence during the trial. In contrast, the judge did rule that evidence of marijuana that was found in Martin’s system was admissible. Such differences led many (including myself) to conclude, as Mychal Denzel Smith wrote, that ”Trayvon Martin and Black Manhood Were on Trial.“ But they also reveal a system of power that dismisses the experiences and voices of survivors of sexual assault and domestic violence as invisible and untrustworthy. Unfortunately, these gender and racial disparities are even further exacerbated by Zimmerman’s non-guilty verdict and the conviction of domestic violence victim, Marissa Alexander, an African-American mother who was sentenced to twenty years in prison for firing a warning shot in 2010 to scare off her husband when she felt he was threatening her. Like Zimmerman, she claimed self-defense and tried to invoke Florida’s “stand your ground” law. The result: a Floriday jury found her guilty of aggravated assault with a deadly weapon. In our current moment of post-verdict protests, we should reflect on several moments in which the legal system failed Trayvon Martin. But, as his cousin’s and former fiance’s disclosures suggests, the system fell apart long before the fateful night that Zimmerman profiled and murdered this innocent teenage boy. And I cannot help but wonder if Zimmerman had been held accountable for the violence he had already inflicted on girls and women, that Trayvon Martin might be with us here today.